Peter Sjöstedt-H is an Anglo-Scandinavian philosopher who specialises in the thought of Schopenhauer, Nietzsche, Bergson and Whitehead, and within the field of Philosophy of Mind. Peter received a Bachelor’s degree in Philosophy and a Master’s degree in Continental Philosophy from the University of Warwick, where he was awarded a first-class distinction for his dissertation on Kant and Schelling in relation to ‘intellectual intuition’. He subsequently became a Philosophy Lecturer in South Kensington, London for six years but is now engaged in his PhD at Exeter University. Peter is the author of Noumenautics and an inspiration behind the new inhuman philosopher Marvel Superhero, Karnak. Philosopher Peter Sjöstedt-H is doing his due diligence to remove the stigma associated with psychedelic drugs. 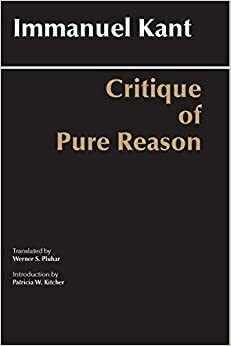 His work is an oddity in the philosophy circuit as these substances are not mentioned nearly as often as one might think despite numerous philosophers touching on psychedelic themes and ideals (which Peter discusses at length in his essays). While I personally believe that something unquantifiable and inherently mystical is taking place throughout the duration of a trip, the empiricists of the world need something that is devoid of typically maligned New Age concepts, and that’s fine as well. Here I speak with Peter about his experiences, the idea and implementation of a “Philosophy of Psychedelics” in Western academia, and what these sacraments can offer to the developing intellectual. Prox: As you’ve mentioned previously, we seem to be in the early stages of what could blossom into the “Philosophy of Psychedelics”. Since this will almost certainly be disseminated using Western academia, how do you think professors should approach this subject? Peter: Initially psychedelics could be partitioned from their common associations with notions of recreation, “drugs”, and the New Age. These three bonds combined repel most academics, but the bonds need not be there. Recreation alone demeans the deep intellectual and aesthetic values psychedelics offer. The concept of drugs delivers an unnecessary effacement of the distinction of psychedelics above other psychoactive chemicals, and, in the UK at least, is associated with crime. The New Age is generally viewed as a movement that is anti-academic in the sense of commonly disregarding logic and falsification. Before the mass prohibition of psychedelics in the 1960s, the effect of these molecules was the object of intellectual study by thinkers such as Humphry Davy, Charles Baudelaire, William James, Walter Benjamin and Aldous Huxley. I hope to see this endeavour reawakened. Prox: Being as the psychedelic experience is typically abstract and personal, how can you teach Psychedelic Phenomenology? Peter: I should imagine that such a study would first be integrated into existent disciplines, such as Phenomenology, The Philosophy of Mind, Metaphysics, Ethics, etc. These subjects are often highly abstract and so may tally well with a psychedelic study. However, as you intimate, teaching experiences and having experiences are distinct undertakings. One without the other would be akin to learning about music without ever having heard music – both are requisite of a comprehension. Prox: Given the current legal status of psychedelics, do you have a fear of the academic portion being taught “vicariously”? Do you think there is a risk of terrible misinformation and secondhand teaching due to professors or educational figures not willing to experiment with these substances themselves? Peter: We have lived with misinformation about psychedelics for over half a century already. As more rational literature evolves and proliferates about these substances, there is less chance of such miseducation. I should add that it is not necessary to have experienced a psychedelic state to begin teaching it, just as one need not be a musician to teach music. Ideally, however, I’d rather be taught music by Delius than by the deaf. Prox: Interestingly, psychedelics and philosophy have not quite meshed as well as they have with psychology or spirituality. Since they tend to completely restructure (or at the very least illicit deep introspection) the user’s personal moral or religious philosophies, why do you think it has taken so long for psychedelics to be embraced philosophy community? Peter: Firstly I’d emphasize that it has not yet been embraced by the philosophical community – such an embrace is part of my mission. One reason for the lack of embrace is unfortunate concurrence: the first wave of psychedelia in the mid twentieth century was parallel to the reductive tendencies then prevalent in philosophy. 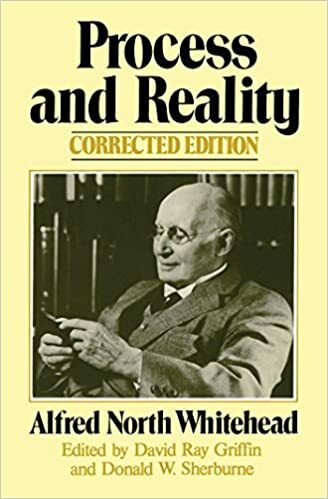 Forms such as Logical Positivism, Logical Behaviourism, and other linguistic analyses of mental terms (commonly triggered by Wittgenstein’s later work), often denigrated consciousness to the lowest level of semantic illusion. This was shadowed in psychology by a need to emphasize quantification over introspection so to appear more “scientific”. The availability and thus awareness of psychedelic states arrived at the wrong academic time. Fortunately such reductivism began to submerge in the 1980s and now philosophy is in a healthier condition to contemplate such vertexes of sentience. There was an attempted psychedelic counter-move in the 1950s to this prevalent reductivism. It was the greatest thing that never happened in psychedelia: Outsight. 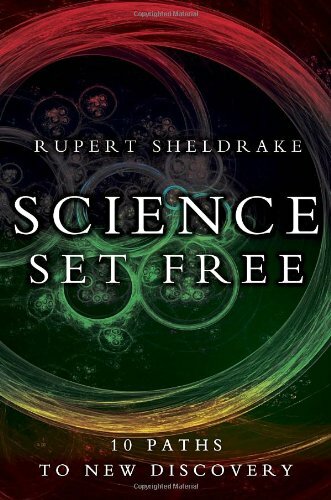 The project was sired by psychiatrist Humphrey Osmond (who coined the term “psychedelic”), neurophilosopher John Smythies, and author Aldous Huxley. The plan was to collect, as Osmond briefed, “personal reflections on the experience of taking mescaline by 50 to 100 notable subjects in philosophy, literature and science.” These leading intellectuals included C. D. Broad, A. J. Ayer, H. H. Price, J. C. Ducasse, Gilbert Ryle, Carl Jung, Albert Einstein, and novelist Graham Greene. A lot of interest was shown by these figures but, alas, the funding forOutsight was never awarded – a rejection the organizers blamed partly on the stuffy reductivism of the time. Due to the post-1960s misinformation mentioned, philosophers are also, I would speculate, wary of potentially damaging their minds through psychedelic intake. This is understandable as keeping their minds in peak condition is a necessity of the occupation – but such worries can be quelled when contemporary research on psychedelic hazards is given a hearing. Prox: Could you tell us about your own experiences with Psychedelics? What are some insights you’ve gained and which have you found to be the most epistemologically value? How have they (if at all) made you a better philosopher? Peter: I set out in detail an experience with psilocybin in a chapter in my book Noumenautics – a book mostly about psychedelics and philosophy. Generally speaking there are numerous epistemic qualities to be yielded from such experiences. Some examples: perceiving duration at different rates to non-psychedelic states presents novel introspective data on notions of “the present”, the organic realist notion of perception as the fusion of the subject with the environment can be amplified and thus investigated (dare I say) empirically, mystical aspects within the philosophy of religion can be further understood, fallacies of reification can become more explicit, certain logical axioms come undone (e.g. law of excluded middle), alien types of consciousness emerge providing additional hierarchies to phenomenology, and the logic surrounding neural correlates of consciousness is advanced through analyses of scans of psychedelic-infused brains. A welter of potential here awaits philosophical analysis. Prox: In your opinion, what do you think is happening to the consciousness and perception of the user? What is it about the psychedelic space that triggers such deep (and almost indescribable) introspection and “oneness” with the experiencer’s surroundings? Peter: The recent Imperial brain imaging study of LSD was sponsored by the Beckley Foundation which is headed by Amanda Fielding. The findings were launched at the Royal Society this April where Countess Fielding reflected that “William James explains [the psychedelic experience] like seeing through the veils of perception. Huxley describes the ego as a reducing valve of the brain. How right they were. Now, for the first time we have seen the empirical basis of these realisations.” Huxley and James’ views both explicitly drew upon the philosophy of Henri Bergson who considered the brain to stifle rather than produce consciousness. This is one possibility I consider in my book. But I tend to prefer a more Whiteheadian interpretation at present that differentiates the psychedelic experience into various classes and then seeks to explain those by using ideas such as Whitehead’s Eternal Objects (akin to Universals), and his drastic reformulations of “perception” generally. Ultimately my view is that we – the sciences and philosophy – have inherited a framework of thought about the mind and reality from the seventeenth century that is redundant, and only in its replacement will we be able to make sense of the psychedelic experience. The late Swedish thinker Patrick Lundborg suggested that the psychedelic experience itself create that new framework – this would be, if possible, the ultimate value that psychedelics could bequeath unto philosophy. Prox: You’ve remained open minded on what Psychedelics can accomplish in a Metaphysical (almost paranormal) context. Why have you chosen to adopt this stance as opposed to being stilted towards research data? Peter: I wouldn’t say I was stilted towards research data, and I wouldn’t say I neared the paranormal (perhaps rather the abnormal)! But I should say this: empirical data, for instance that of the brain imaging study I mention above, is valuable in many regards, but its detailed interpretation is a matter of philosophy. In most papers and presentations one sees from neuroscientists, one often observes correlations between brain activity and the reported psychedelic phenomena. But the question concerning the relation between the psychedelic neurology and the phenomenology is left untouched. Yet this is the interesting, importantmetaphysical question! Is the correlation one of identity – in the philosophy of mind this is generally rejected now in part due to multiple realization: the same phenomenon can be correlated to a human brainand to a non-human brain (pain, for example). Is the relation one of cause? If the brain causes the mind to emerge, paradoxes emerge: for instance how the mind could have an effect on the brain when consciously working something out. If one denies such downward causation, one is left with epiphenomenalism: that the mind is impotent in causal efficacy. But this also breeds problems such as why mind ever evolved if it is without power. The point is that such research data alone is insufficient for comprehension. Again, this is where psychedelics can offer an opulent cosmos for philosophy to explore. Peter: Coastal walks, Cornish and Scandinavian history, guitar playing, frequenting the traditional English pub. Prox: Tips for aspiring philosophers? Peter: Treat language as an art rather than as a conduit, interweave concision with style, foster intellectual courage, accept uncertainty, uncover your deeper motivations, and find the flaw in all things. Prox: Information on upcoming releases and projects?